The wellbeing of workers, throughout the supply chain, is more than ‘a nice to have’. When given attention it can result in higher quality, greater consistency, lower absenteeism and a more productive workforce. However, all too often, audits surface problems for individuals and businesses in supply chains without providing the tools and techniques to change things and move beyond mere compliance. Each component of Well Supplied can be used with all workers in a supply chain from the farm or factory to the boardroom. Our approach is highly interactive, experimental and accessible. We are practiced at working across language barriers and with people from all walks of life. Programmes can be tailored to specific needs. 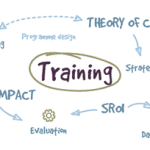 We provide training on tools and techniques to help embed a participatory action-and-learning approach to improving the social sustainability of supply chains. Taking Stock: understand wellbeing in your organisation and supply chain. A sense of wellbeing is an important personal and organisational resource. How can we use it to add value to the supply chain? Well Supplied uses an employee wellbeing survey to generate instant feedback. We then facilitate reflection at the individual, team and organisational level on the ingredients for rewarding work that supports employees to realise their potential. Participants learn to ask the right questions to navigate business and worker concerns in a positive and solution- orientated way. Change is rarely a linear or straightforward process. So how do we work out how to intervene in a complex situation? Well Supplied uses visual tools to integrate views from different levels of the supply chain – individual, team, community, business, shareholders – and build internal capacity to understand and connect the individual elements within the supply chain. Not all problems can be turned into win-win scenarios but people support proposals if they have been actively involved in forming them. Well Supplied uses easy-to-use tools to harness the views, ideas and passion of workers across the supply chain to overcome differences, find common ground, reach more productive outcomes. To create lasting change that delivers value for money, it is important to be systematic about checking assumptions. Well Supplied uses an intuitive story board to help connect outcomes, outputs, activities and inputs for more effective planning, evaluation and assessment of organisational capacity. To ensure effective execution, Well Supplied coaches organisations in implementation to achieve shared successes. Develop the culture, values and internal structures to support greater understanding and increase the likelihood of achieving your goals.